We’ve entered a new week of the Fortnite Battle Royale Battle Pass which means a number of new challenges are available. This time we bring you a guide that serves two challenges, here we indicate the locations of all the Expedition Outposts, you will need to visit all to make a challenge and additionally in an older challenge you have to eliminate opponents in those locations. In all, there is 7 Advanced Outpost that needs to be found, these are very easy to identify so you will not have doubts as soon as they approach one. They are giant red tents that are even easily visible while in the air. To take up the challenge of eliminating other players, you do not have to kill them even inside the structure, just in that area. 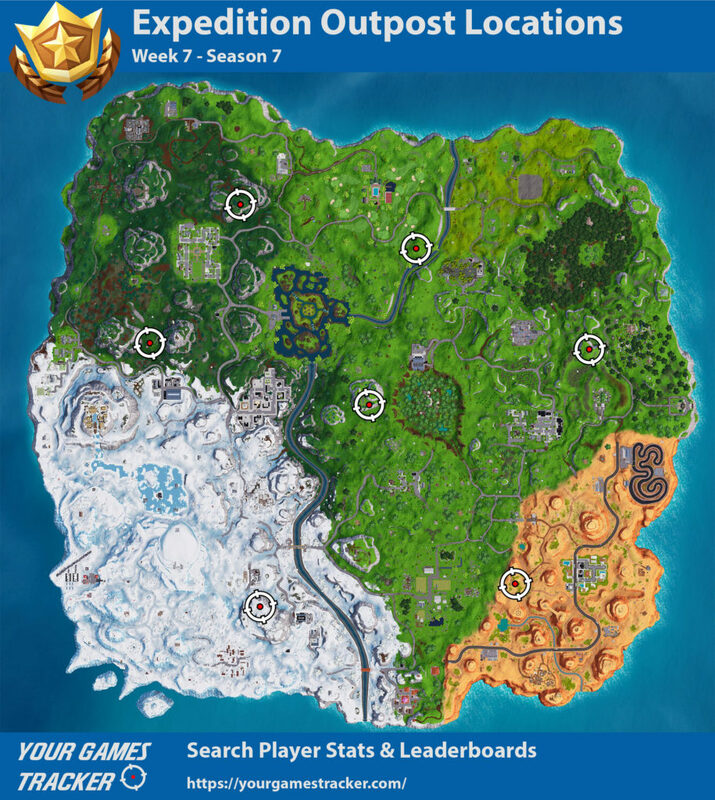 See all weekly 7 challenges of Fortnite here.